At age 7, young Guido was drawn to visit a large crucifix of Christ in a small chapel across from his school. He formed a relation this way with the person of Christ, as he later stated, "He looked at me and said many things to me! ... it is a miraculous crucifix: I owe my vocation to it." As a priest, and later as bishop, he worked out this calling, founding the Xaverian Missionaries on the feast of St. Francis Xavier, Dec. 3, 1895. Struggling with difficulties getting the foundation on its feet, and the challenge of a lifetime of poor health, he was a man of wisdom, insight and peace. He sought, and asked his missionaries to pursue "a spirit of living faith which enables us to see God, seek God, love God in all things, intensifying our desire to spread his kingdom everywhere," and a calling to mission with a goal "to make of humanity a single family." In the laying of the cornerstone of the mother house in 1900, Bishop Magani stated, "From this nest the young eagles of the Gospel will fly to bring faith to those that still live in darkness..." They continue this work today. As a child Guido used to have conversations in his parish church with Christ crucified. He entered the seminary in Parma, Italy at age 17 and was ordained on 22 September 1888. 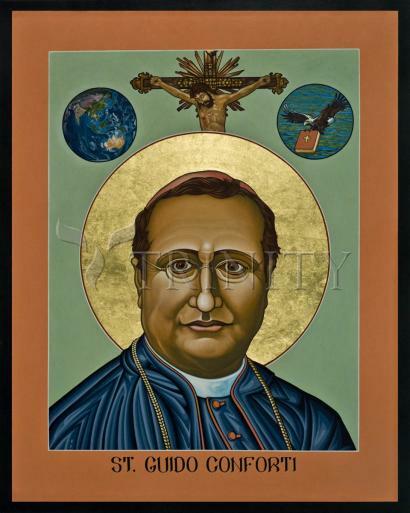 Guido was a professor at the seminary, Vice-rector of the seminary and Vicar of Clergy in the diocese of Parma. He founded the Xaverian Missionaries on 3 December 1895; they were assigned by Rome to evangelize China. Guido became Archbishop of Ravenna, Italy on 9 June 1902. He resigned as archbishop due to poor health in October 1904. He was also Coadjutor bishop of Parma, Italy and titular archbishop of Stauropolis on 14 November 1904, and Archbishop of Parma, Italy on 12 December 1907. He visited his parishes regularly, worked for religious formation, supported religious education for the laity and lay involvement with youth. In 1928 he travelled to China to visit the Xaverians working there.